Make sure you don't miss today's News of the Day! The new feature will allow users to be able to receive bitcoin in increasing quantities without having to close and reopen new payment channels. “We believe Loop will contribute to the efficiency, scalability, and usability of Lightning. We encourage any Lightning developers, testers, and enthusiasts to begin trying Loop today,” Developers Alex Bosworth and Bryan Wu said. Cardano released mainnet version 1.5 as it prepares for its Shelly release, an update that will move Cardano to a PoS consensus algorithm. The latest version introduces a number of changes aimed at smoothing over the transition from Byron—its current state—toward Shelley. The Shelley upgrade will implement a new consensus protocol, “Ouroboros BFT,” which helps the cryptocurrency guard against 51 percent attacks. North Korean political dissident group Cheollima Civil Defence is selling Ethereum-based visas for entering the country once it is supposedly liberated. The visas are emitted in the form of ERC-721 NFT dubbed G-VISA on the Ethereum blockchain. “Ownership of one or more G-VISAs should be considered a contribution to the movement and should not be used for speculative or fiduciary purposes.” CCD website said. The vacancy was tweeted by CEO Jack Dorsey, who is also the CEO of Twitter. Dorsey commented that the decision to pay employees in digital currency is based on the intention “to make the broader crypto ecosystem better,”. Square registered $166 million in annual Bitcoin revenue for 2018. Hi guys, looks like the formatting of your last headline went a bit awry. Very exciting that Square is moving forward as fast as they are... almost every small business I interact with uses Square. Despite not technically being a wholely crypto-focused wallet, Square has contributed much positive impact to the industry as a whole. I recently read this article where "analyst" says "Square.inc Stock is the next thing"
No crypto mentioned but i wonder wont they wonder why is Square doing so well? I am so far behind on Cardano but moving closer towards POS sounds great! I'm keen on the Cardano upgrade thanks for mentioning it! Hey friend @coingecko, I’m satisfied reading your updates! 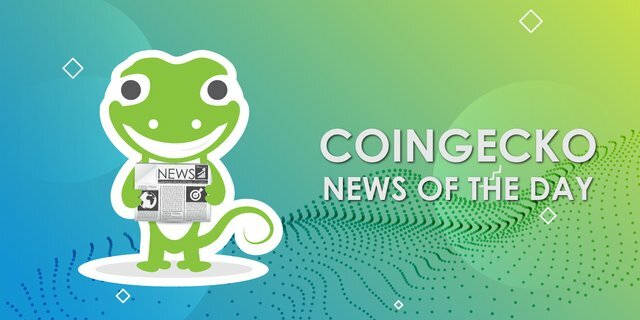 @coingecko, thank you for the update! Bitsize news chunks. You guys are doing great. Look forward to it every day.